Using two or more microphones when recording electric guitars is a great way to expand your tonal options during the final mixdown. Different microphones impart their own personality on your guitar’s sound and using more than one can help bring out tones that you wouldn’t be able to do with just a single mic. For this example, I used a PRS S2 Vela into a Marshall JCM 800 feeding a Marshall 1×12 cabinet loaded with a Celestion Vintage 30. 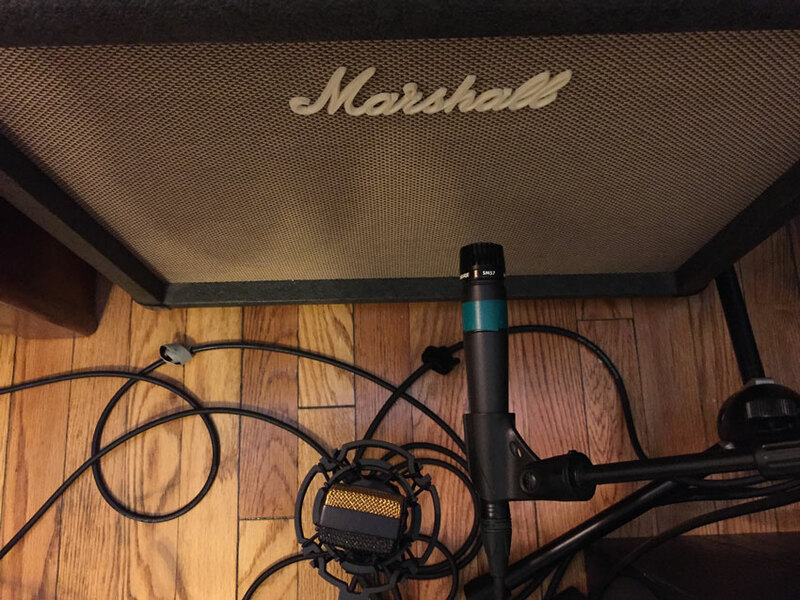 The cab was miked with a Shure SM57 and an AKG C414 XL II (set to the cardioid pattern), with both plugged into a Focusrite Scarlett 18i8 and recorded by Pro Tools. When one mic is closer to the sound source, this can cause phasing issues. 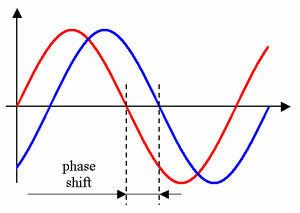 The red wave in this diagram shows how its cycles don’t line up with the blue wave’s, causing a thinning of tone. The most important factor when using two mics is their placement. Phase issues can become a problem in no time if care isn’t taken to get the mic placement right before you hit record. Phasing issues occur when sound waves hit the microphones at different times. This causes the summed result to sound weird, and much thinner than it should. Sound waves work in cycles, shifting from positive to negative polarity and so on. If two different mics receive sound at different times, some frequencies could cancel themselves out, causing the phasing issues. Try to limit phasing issues with the following steps. First, visually try to line up the diaphragms of each mic so that their distances from the speaker are as close as possible. Second, if you don’t have a separate control room, record a short pass of guitar with both mics. Listen back, and on one of the tracks, open up a plugin that has the ability to flip polarity. Notice how the diaphragms for both the AKG C414 and Shure SM57 line up to preserve phase coherence. In my session, I just used Avid’s own EQ3. As seen on this plugin, an “O” symbol with a line through it indicates the polarity invert switch. Its job is to flip the waveform 180 degrees. 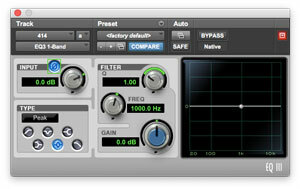 Upon playback, flip the polarity back and forth to hear the difference in sound. If you have your mics placed correctly, the inverted polarity should yield a much thinner tone. In this case, I moved the C414 a few times until I found a sweet spot. Of course, if you have the luxury of a control room or some good isolating headphones (and a friend to help you out), you can move the mic and flip the polarity while the guitar is being played to quickly find the best sound without having to record a few passes first. The polarity invert switch can be seen within the green box of this screenshot of a EQ3 plug in. Take a listen to how the SM57 and C414 sound by themselves. The SM57 produces a much crunchier sound, as its prominent midrange perfectly cuts through dense mixes (Clip 1). The C414 emphasizes the lower end a little bit more, while the mids are considerably less crunchy and the high end much smoother (Clip 2). Combining these two tracks produces a nice mix, with the lows of the C414 and the mids of the 57 blending harmoniously (Clip 3). In Clip 4, I flip the polarity of the C414, which has pretty good phase coherence with the 57. You can clearly hear when the polarity flips. The blend sounds incredibly thin, as if all the important sonic information has been stripped away. Without EQ, you can create different tones just by blending the two tracks in various ways. Clip 5 showcases another example of the blended tone, but this time with the C414 a little more forward in the mix. The C414 has been pulled back a few inches. Clip 6 demonstrates how this negatively affects the sound. 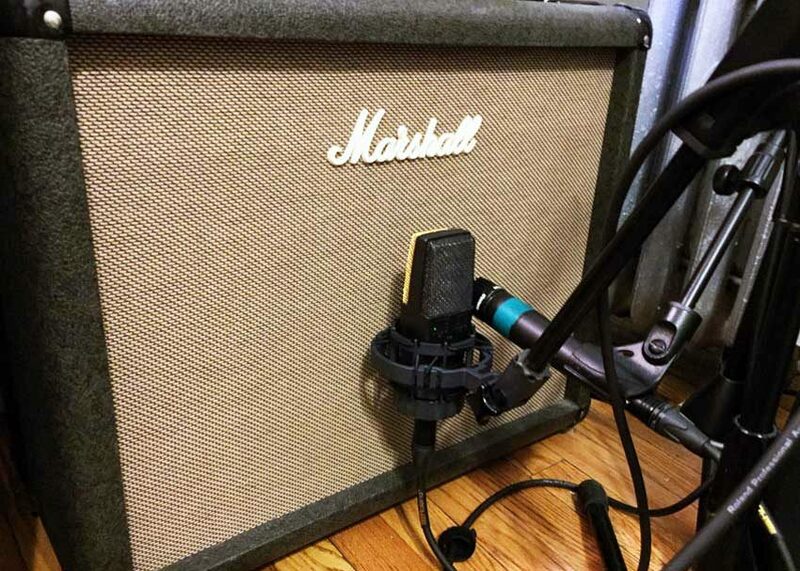 Of course, if you don’t take the time to properly check your mics before recording, your guitar tones might not end up as sweet on the record as they did coming out of your amp. In Clip 6, I moved the C414 back just a few inches to purposely make it out of phase with the 57. As you can hear, the result isn’t that great, with an overall thinner, nasal tone. Experiment with with your use of two microphones to record electric guitars and explore various sonic avenues. 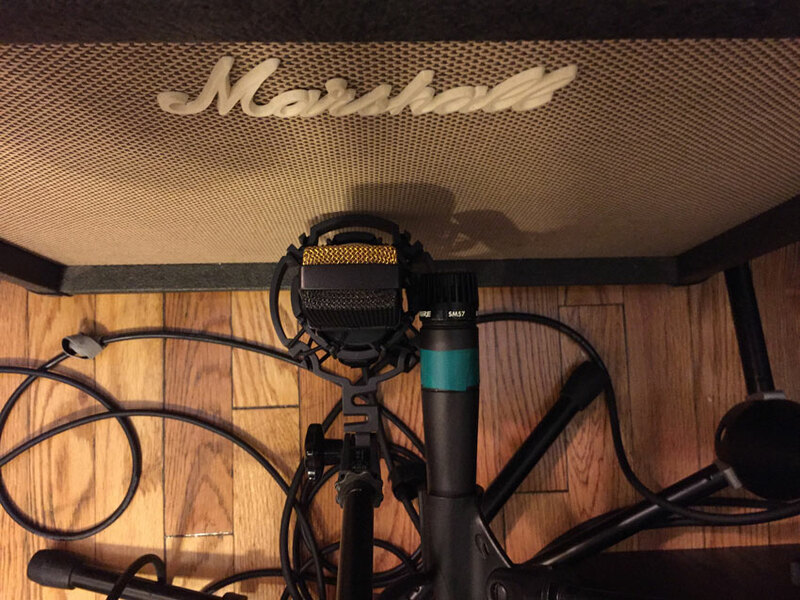 Add a third or fourth mic for even more fun — just remember to make sure everything is in phase. You can never have two mics 100% in phase with each other, but you can try your hardest to get as close as possible. Episode 90 – Rod MelanconWhat's the Matter with Musical Meter?